For individual clients, we request advance payment. For institutional clients, we expect payment on receipt of the edited paper or within 30 days of completion of the work. We accept payment via credit card, PayPal, or international wire transfer. Clients in the United States have the option of mobile payment transfers using Zelle, which the client initiates, or Dwolla, which we must initiate. We access a three percent payment processing fee for credit card or PayPal payments. We do not assess a fee for Zelle or Dwolla payments. We accept all major credit cards. Our invoice includes a surcharge of three percent to defray the credit card processing fees. To pay via PayPal, we must email you the link to our PayPal account. We assess an additional three percent to help defray part of PayPal’s payment processing fees. We accept international transfers from institutional clients for a flat rate of $30. The information your employer needs for this is on your invoice. We offer two payment methods that do not incur a three percent payment processing fee: Zelle® and Dwolla. Several large US banks offer Zelle®, which is a bank-to-bank payment system that allows you to make pay via email or your phone. 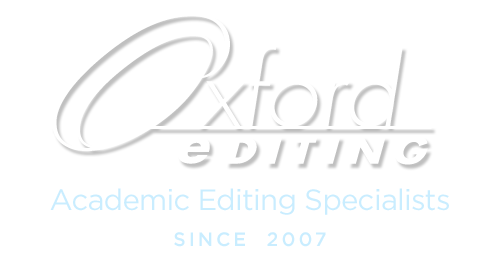 If you already have an account with Bank of America, Capital One, Chase, 1stBANK, USbank, or Wells Fargo, just go your bank’s website, and send your payment to payment@oxfordediting.com. If you don’t bank with any of those firms, Zelle® can complete the transaction, as long as your bank is in the United States. Dwolla is another safe way for you to make a payment directly from your checking account if you have a US-based bank account. If you wish to pay via Dwolla, we’ll send you an invoice from our account. Dwolla payments also do not include the three percent payment processing fee. We do not edit plagiarized text. Therefore, it is important that you ensure that you have not borrowed the work of other authors without using correct citation. If we find unoriginal text well into the edit, we cannot complete the edit, but will return the paper with a partial edit. We also cannot give you a complete refund. We assess a $100 fee for the disruption of the editor’s schedule in addition to charging for the time the editor spent editing your paper. Please do not send us a manuscript that contains plagiarized text. You assume the responsibility for your purchase, and we cannot issue a refund for the work we have done on your paper. A key purpose of the sample edit that we provide you at the beginning of each job is to demonstrate how the full edit will be done. If you have agreed to proceed with the full edit based on the sample edit, we assume that you have decided that you like the way in which the editor is going to edit your paper, and so the editor then proceeds in good faith. We cannot then refund for the work we have done, which you will have in your possession to use, after we return your edited paper. However, we will consider a partial refund for the work we did if the work that you received for the full edit was not the same as the work demonstrated in the sample edit (or if after the editor moved through the full paper they then discovered that less work was needed than they had thought based on the sample edit). Please also note our policy on manuscripts that we find have plagiarized portions in them. Once the editor discovers the plagiarism, they will have done siginificant work, so if we return your paper with an incomplete edit, we cannot give you a full refund, but we might be able to give you a partial refund. If your paper is rejected by an academic journal after we’ve edited it because of grammatical errors, we will re-edit the paper. However, we must have seen the final text that was submitted to the journal in its entirety. If you submit a paper with changes that we never proofread, then we cannot be responsible for those changes. Our editors are professionals who understand the importance of confidentiality. Therefore, we hold all papers and materials you send us in strict confidence. If you wish, we would be happy to sign a non-disclosure agreement. Our sample edit consists of 10 percent of a submitted paper that is under 5,000 words, or 500 words of a text that is over 5,000 words. There is no charge for the sample edit, but we include it in the full text if you decide to proceed with the full edit. Additionally, please note that the sample edit is time intensive for the editor and can easily take them over an hour for a lengthy paper, such as a dissertation. We ask that you please not abuse this service by taking up the editor’s valuable time if you are not serious about proceeding with the full edit. Please note that we will undertake sample edits only if we can do the full edit; if the submitted paper is not one we can edit, then we reserve the right to refuse to do a sample edit. After we’ve edited your paper, the first editing round, we offer you 30 minutes of a complimentary second editing round (a “cleanup”). After that complimentary period, we charge a rate that is 10% lower than your original hourly editing fee (ranging from $55 to $70 per hour), depending on the editor and type of edit. 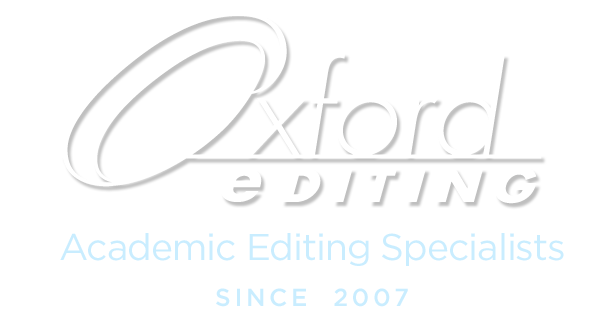 Additionally, because the editor is deeply familiar with your paper, they can edit rapidly. We ask that when you return the paper that you highlight specific sections you would like to have reviewed. In that way, it’s possible that the editor can cover any outstanding issues during the complimentary period. We offer you this complimentary second editing pass within three months of the first edit. After this time, the manuscript will not be fresh in the editor’s mind and they will have forgotten most of the text.